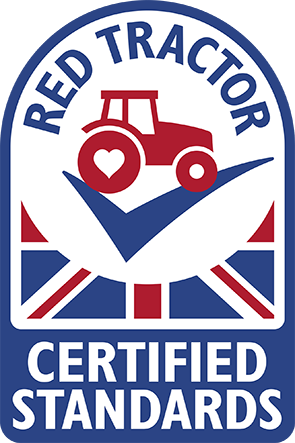 We are proud to announce that James Burden Limited has been recognised by Red Tractor as complying with their rigorous professional standards covering animal welfare, food safety, traceability and environmental protection, and that James Burden Limited are now a Red Tractor registered wholesaler. Established in 2000 and run as a not-for-profit organisation by the food industry, Red Tractor has grown to become the UK’s largest farm and food standards scheme, ensuring food is produced responsibly by regularly checked, trustworthy sources. Their standards ensure animals have suitable space, the right food and water to maintain health and wellbeing, and that vets only prescribe medication when essential to animal health. James Burden Limited are proud to bring these top-quality British meats to market through its outlets at London’s Smithfield Market, from where it delivers daily throughout the Greater London area, and also through its Newcastle and Kent trading offices.